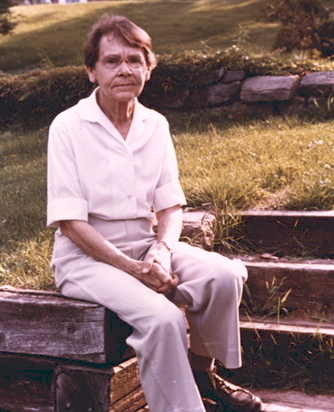 On June 16, 1902, biologist Barbara McClintock was born. McClintock studied courses in genetics before it was accepted as a discipline. Using maize cobs as her exploratory medium, she noticed colour spots on kernels that could not be explained by Mendelian genetics. Immediately attracted to the “why” problem, McClintock spent much of her life quietly expanding the study of genetics, chromosomes, and chromosome behaviours to build the emerging study of cytogentics. Eventually able to identify a series of genes on a chromosome that determines pigmentation, McClintock discovered pieces of chromosome that could move from one place on the chromosome to another close to the pigment-coding gene. Sometimes the effect acted to switch off the gene and often appeared broken at the integration site. McClintock called these genetic material types “control elements” and theorized that these mobile elements were likely present in non-botanical life. All this before anyone knew what DNA was! When, 30 years later, the technical tools were developed well enough for the biochemical proof of her discovery of mobile genetic elements, her work immediately impacted other biochemical and medical research. McClintock’s work helped explain resistance to antibiotics, the formation of antibodies, even cancer cell transformations. A cob of maize + one person asking “why” + experiments executed with rigour = impact DNA research everywhere. For her groundbreaking discovery, identification, and description of transposable (mobile) genetic elements and their implications for all life forms, McClintock received the Wolf Prize in Medicine and became the only woman to have received, unshared, the Nobel Prize in Physiology or Medicine. This entry was posted in On This Day and tagged Barbara McClintock, cytogenetics, genetics, June 16, mobile genetic elements, On This Day, The Roberta Bondar Foundation, transposable genetic elements. Bookmark the permalink.